FREE Book "Protecting Your Equity"
Helping You Build Wealth Through Real Estate! MAKE THIS YOUR HOME! This STUNNING HOME is situated on a spacious lot w/ beautiful low maintenance landscaping. It’sinexemplary condition and ready for a new owner to fall in love with its charm. You can relax as you enjoy the sunrise or the sunset on the front porch. You’ll appreciate the WELL-DESIGNED OPEN FLOOR PLAN that is simply fit for entertaining family and friends. The first level includes an elegant two-story SOARING FOYER, a formal dining room, a formal living room/office, and a guest bedroom. For the gourmet cooks, the kitchen opens to the living room. The kitchen has GRANITE COUNTERS, tile backsplash, STAINLESS STEEL appliances, plenty of cabinet space, a breakfast area and lots of space to seat family and friends. The second level includes three guest bedrooms, a guest bathroom, and the master bedroom. Get ready because YOU’VE EARNED THIS MASTER BEDROOM! The VERY SPACIOUS master bedroom boasts a sitting area, tray ceilingand a PRIVATE ENSUITE. The ensuite has two walk-in closets, two vanities, and a separate shower and tub combo. If you love outside entertainment, then you’ll love this backyard. Enjoy the SCREENED-IN PORCH and all the space you need for BBQs and entertaining. Neighborhood amenities include a pool, fishing pond, tennis court, and playground. 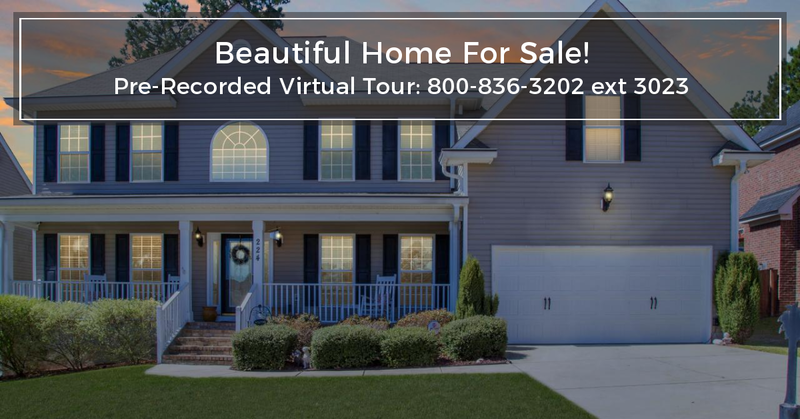 The home is located in the Richland 2 school district and is close to Sandhills Mall, Sesquicentennial State Park, shopping, dining, and the interstate. 1-yr home warranty included. This home is a MUST SEE! To schedule a showing complete the showing request form or call 803-563-3706.